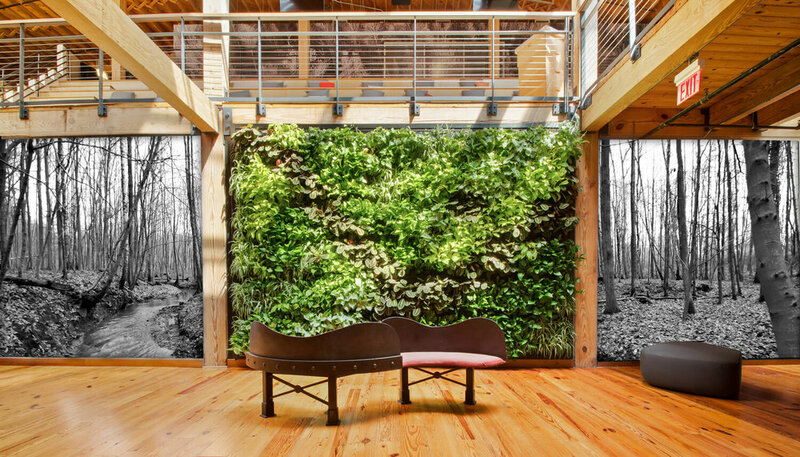 Showcase example of indoor green wall installation in Durham, North Carolina. 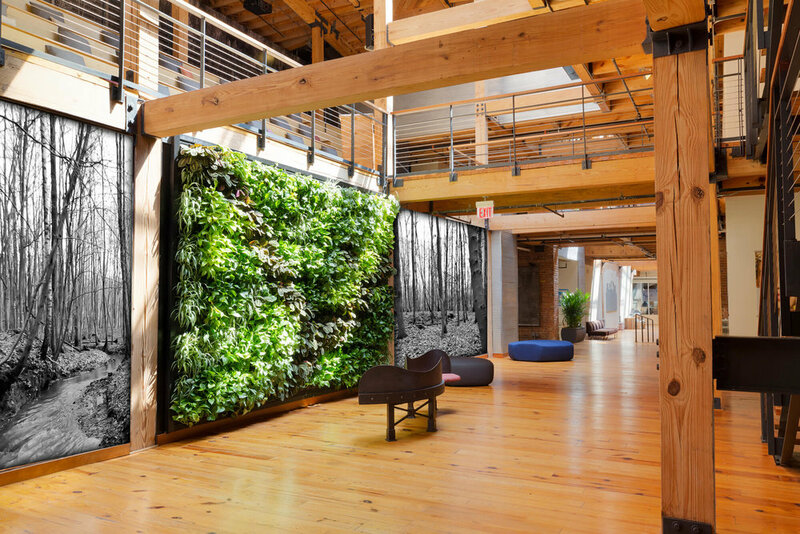 For the renovation of their world headquarters, this nature-inspired personal care, health and beauty company chose to include an indoor green wall in the main lobby. 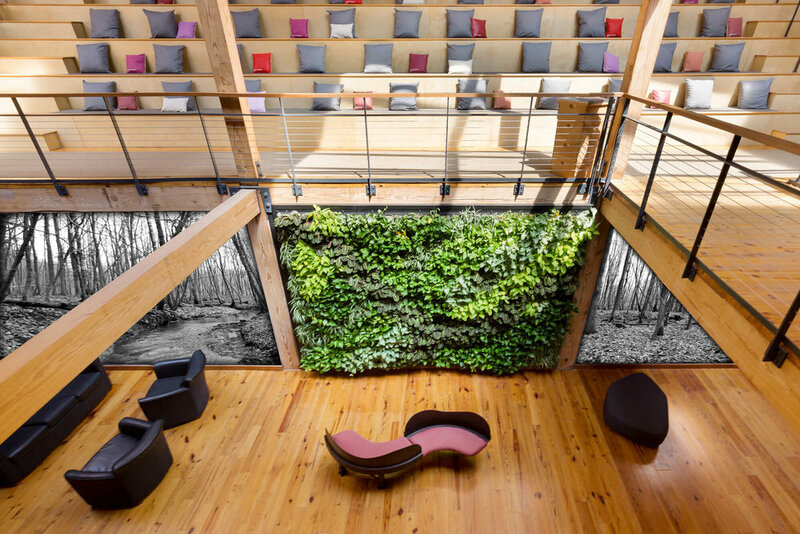 This indoor living wall is one of the first things that visitors see when they enter the building. 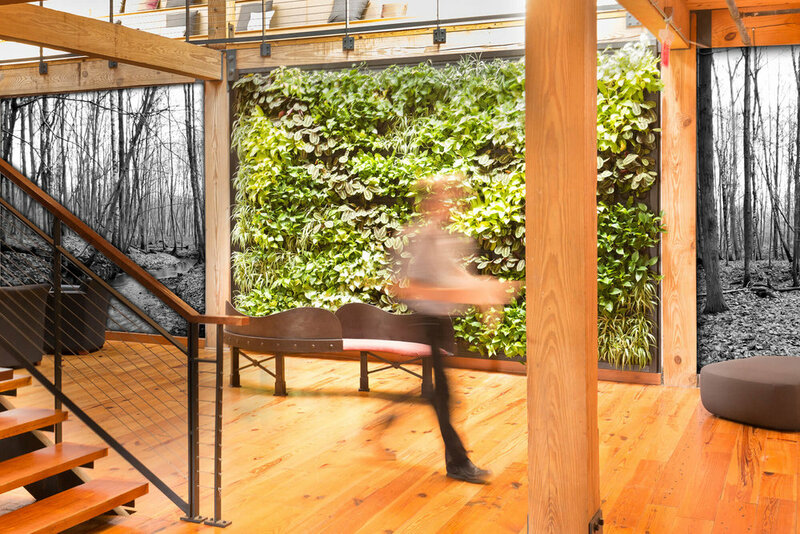 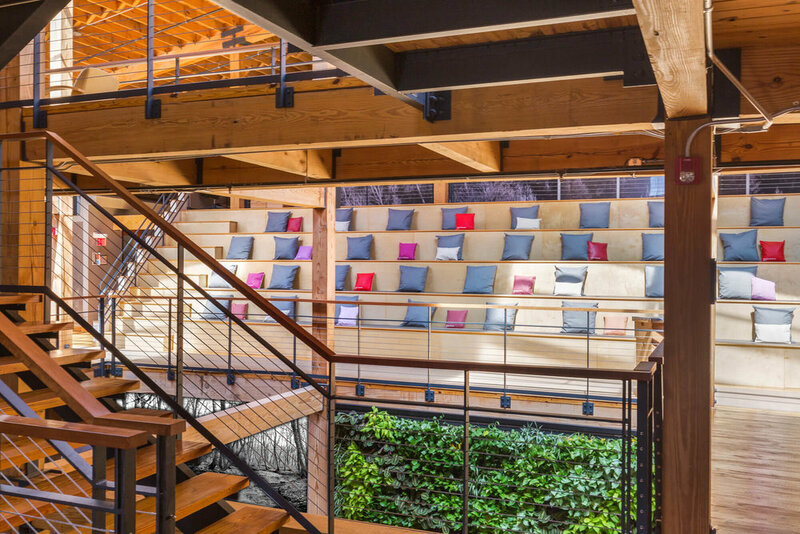 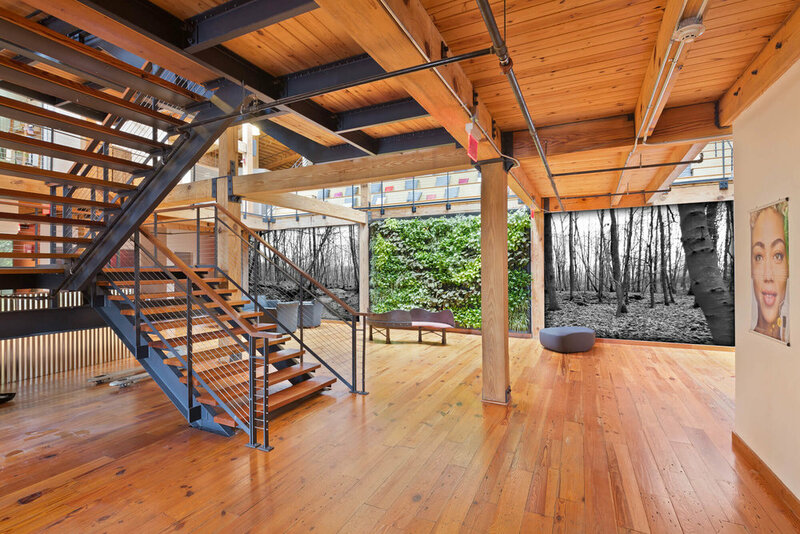 This client markets their products as being all-natural and earth friendly, so they wanted to make sure to include nature as part of their office design. 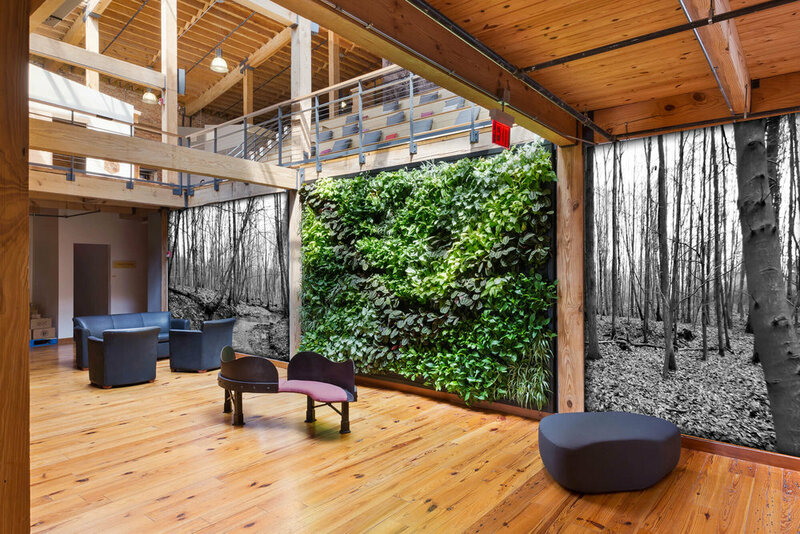 Another construction consideration was to use earth friendly building products wherever possible and the client was happy to learn that LivePanel is fully recyclable. 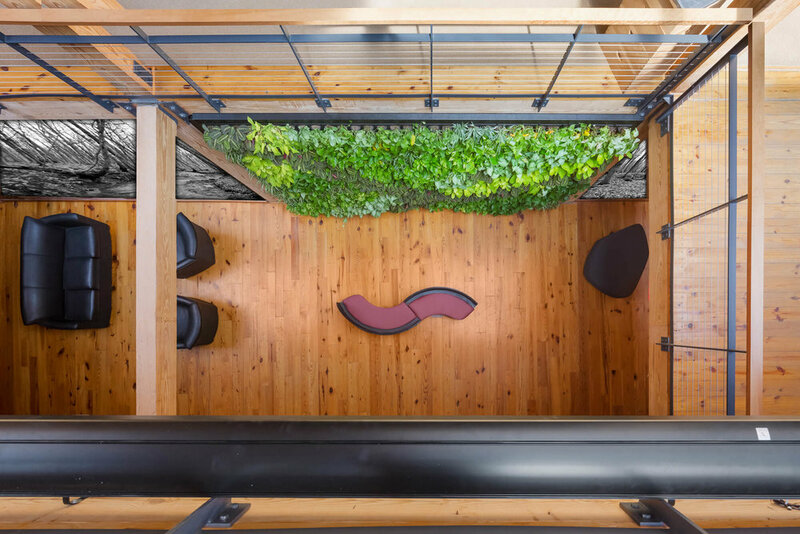 The architect did a great job of incorporating biophilic design principles into this renovation and one example of that is this LivePanel indoor green wall.